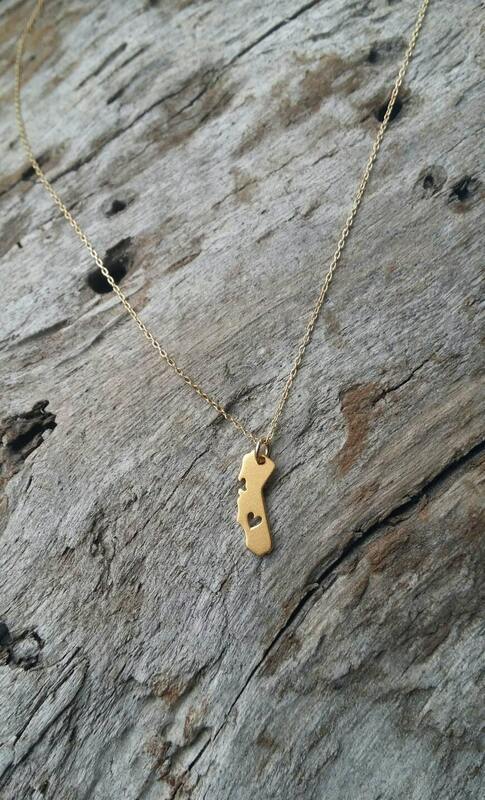 Tiny gold California Love necklace with cutout heart! 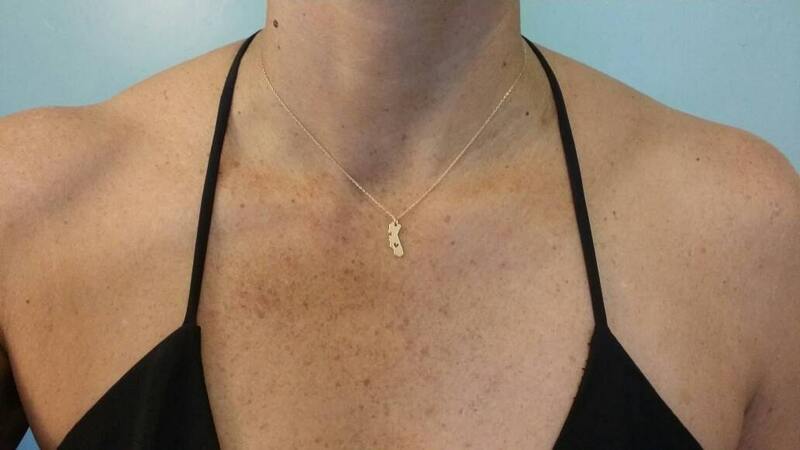 The gold vermeil charm is a dainty 4mm x 15mm with a matte finish. 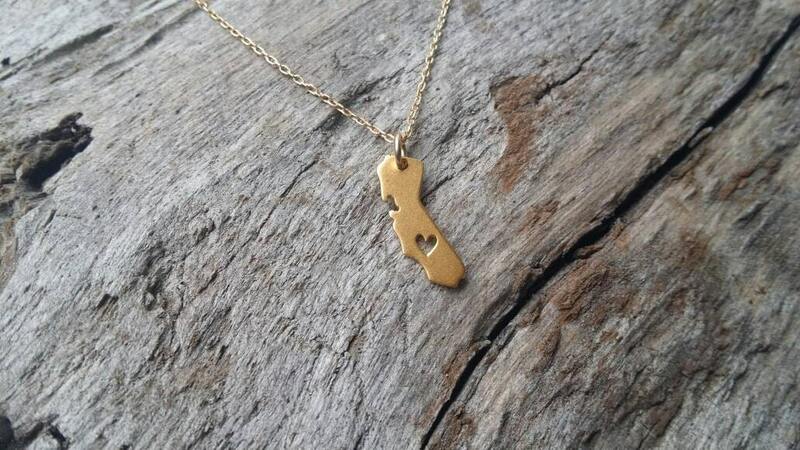 It is has a cutout heart near the southern california coast and has a delicate gold fill chain and clasp. Shown here in 16" length. 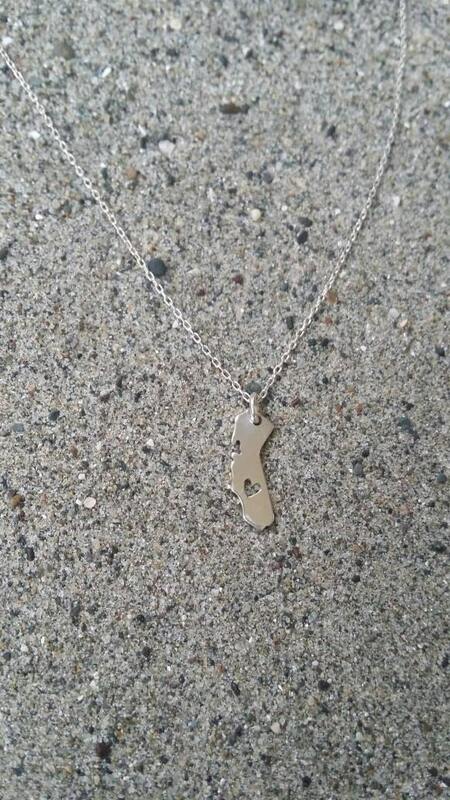 Also comes in silver as seen in last photo! All items are handmade and I guarantee the workmanship and quality of all my products. I guarantee against any tarnishing or breakage. However, if you should encounter such problems, I will gladly replace or repair your item free of charge. Please see my terms and conditions for information on how to request a replacement or repair. 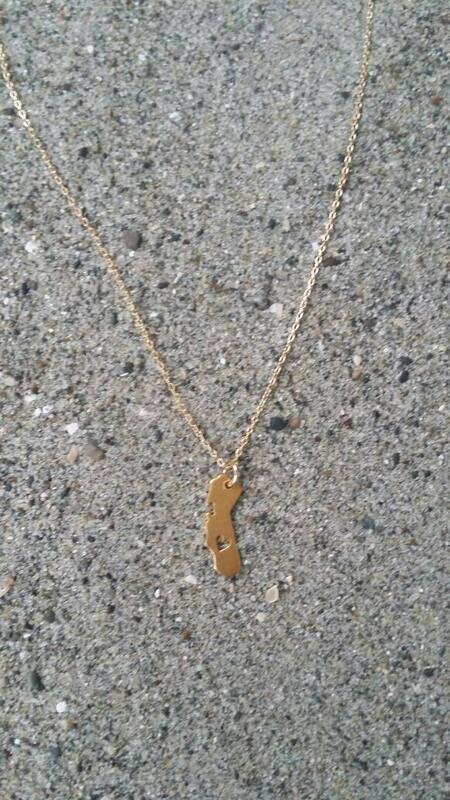 Not only very happy with the necklace (which is lovely and just as shown), but the customer service was excellent. I initially received the wrong item and the seller responded quickly and resolved my issue with amazing service and within 24 hours. Would absolutely shop here again!